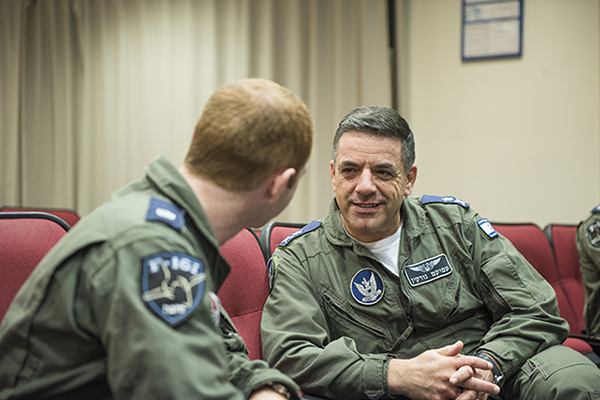 Yesterday (Monday), the IDF Chief of Staff was presented with the official IAF debrief regarding the operational events which occurred in the northern theatre on February 10th, 2018. Also participating in the debrief were senior IAF members, personnel from the Training & Doctrine Division and the commanders of the participating units and squadrons. 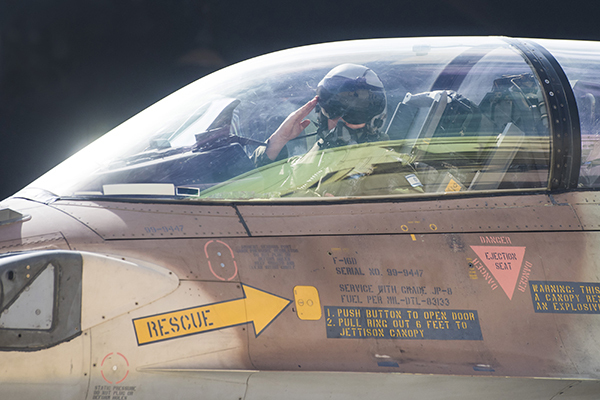 The debrief regarded the interception of the Iranian UAV which attempted to infiltrate Israel's territory, the attack of the Iranian control station in Syria, the "Sufa" (F-16I) pilot's ejection and the attack of the Syrian aerial defense batteries. According to the debrief, preparations for the operation went according to procedure and allowed for destruction of the assigned targets. The aircraft's alarm system functioned properly and provided the necessary warnings on time. The aircrew failed to assess the situation, and did not defend itself as needed. The service members' military intelligence allowed for proper operation of the mission, and the aircrew members' decision to eject upon being hit was correct. 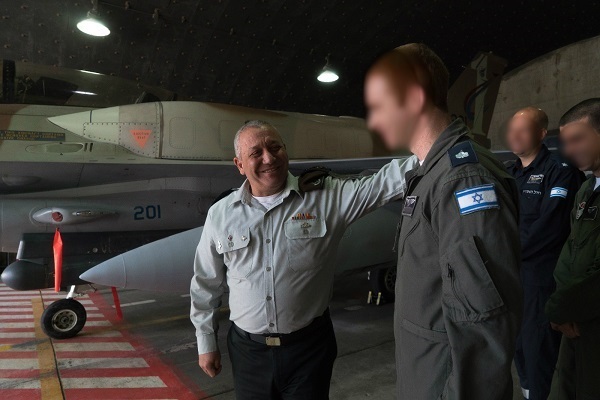 IDF Chief of Staff Lt. Gen. Gadi Eizenkot spoke to Ramon AFB's Fighter Division and Combat Helicopter Division service members: "I want to express my appreciation for what you do and the way you contribute to Israel's strength", said Lt. Gen. Eizenkot. "The road to operational achievements requires us to take risks, and I expect each operator to see the mission that rests on his shoulders. The debrief was professional, and I'm certain that the operational lessons were learned". 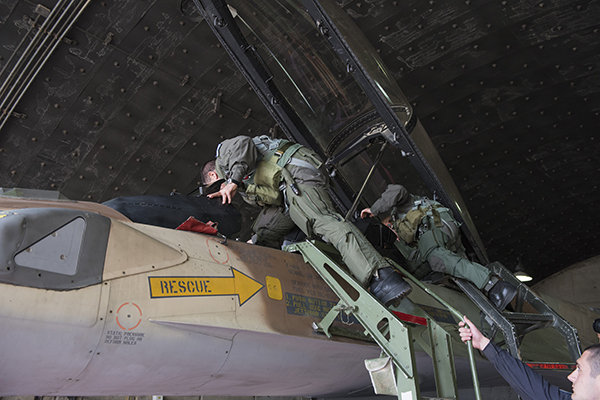 The IAF Commander spoke of the operational activity performed in complex conditions. "I want to praise the aerial defense systems which detected the Iranian UAV, and the operators which intercepted it as well as the Iranian control station and other Syrian and Iranian targets. These caused significant damage to the Syrian aerial defense systems and the Iranian military establishment in Syria". Maj. Gen. Norkin emphasized the operators' search and rescue operation: “Less than 52 minutes had passed from the moment the pilot ejected to his arrival and treatment at the hospital. I was glad to fly with Maj. A’, the WSO, and converse with the squadron’s combatants. I was also glad to see Maj. I’, the pilot, released from the hospital, and I expect to see his return to the squadron”. “This was a professional mistake made during operational activity”, added Brig. 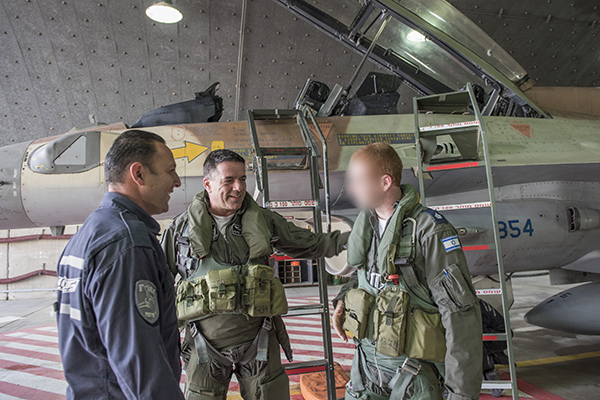 Gen. Tomer Bar, Chief of Air Staff. “When the aircraft was hit, the aircrew was right to eject. We can replace aircraft, but we can't replace a human life. The operation was successful, and its goals were achieved”. “Syria’s response characterizes their attempt to undermine our freedom of action”, added Brig. Gen. Bar. “The amount of missiles launched that night was irregular. 27 missiles were launched. After examining the brief and the operational orders, we saw that the primary assessment stated that the Syrians would launch missiles, yet we still made a professional mistake”. “We damaged advanced Syrian SAM batteries, which were a significant part of the Syrian Aerial Defense Division. I think that the other side understood our short-range large-scale response capabilities". Brig. Gen. Bar concluded: “The main challenge of being aerial combatants is the amount of data we're faced with in operational situations. It’s a dangerous profession and we have the highest standards for our operators, although I can’t say that mistakes are never made”.